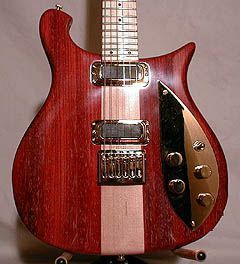 This is a Deluxe version of the 650 Atlantis. 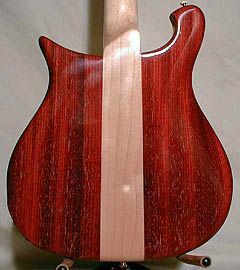 African Vermillion on the wings of the body and headstock. 24K gold plated hardware and a 24 fret maple "neck thru". Two Humbucking pickups, mono output and Schaller machine heads.